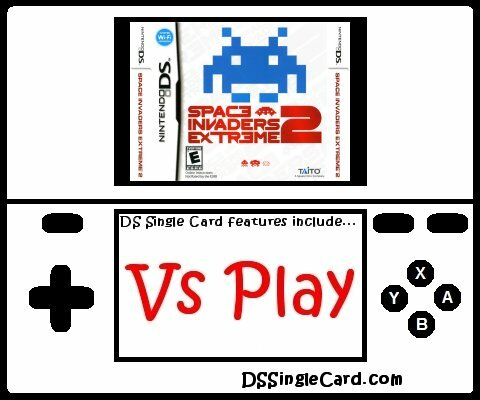 Alternate Names: "Space Invaders Extreme DS 2", "Space Invaders Extreme 2 DS"
The hit classic arcade game is back faster and more exhilirating than ever before! It has an enhanced battle system, new game modes, and an expanded game play progression that goes beyond Fever Time to SUPER FEVER TIME! BINGO! Get Bingo by shooting invaders to light the grid! VS PLAY! Compete head-to-head using wireless play!